How you feel during or after an event speaks volumes for the way you evaluate this experience. I think you will all agree that we felt joy, creativity, freedom, imagination, playful and transported during our Once Upon A Door Festival this week-end. The positive energy was palpable and contagious throughout the three days, most of us bringing it back home to our families and friends who missed out on being there. None of it would have been possible without the thoughtful, committed help, trust and support we received from all of you, our sponsors, artists, friends, volunteers and staff. The vision for Once Upon A Door was a year in the making before we finally realized it this week-end. Karine Parker, Executive, artistic and Program director of the Texan-French Alliance for the Arts, and Marjon Aucoin, Art director at the Little Wonders School, conceived of this project after the kids from the Little Wonders School created their own miniature “Doors” that illustrated issues, beliefs or stories that had significant impact in their lives. Why not create an event that allowed the kids to show adults how to see through the eyes of a child again, and encourage adults to slow down and truly appreciate the beauty in their lives? When you push that “Pause” button, you allow yourself to listen, love, and pay attention. Then you can tap into your creativity to positively transform the world around you. Isn’t this worth doing more often? We found out that it certainly is and we have every intention of carrying this program into more communities, giving more people the opportunity to explore like a child again, enjoy a sense of “Letting Go”, a sense of abandon and pure joy and creativity. What we saw in our transformed space is a testament to this, and we all know that little ones always express an authentic truth. More videos and the official video of Once Upon A Door soon! 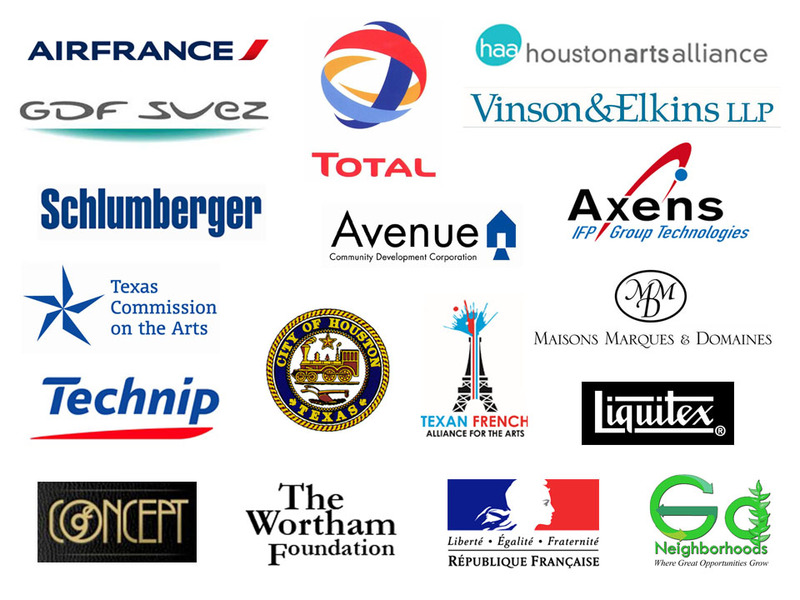 The sponsors and their leaders who believe in TFAA and support us: Air France, Axens, Eyeful Art, French Consulate in Houston, Gdf Suez, Liquitex, Maisons Marques et Domaines, Schlumberger, Technip, and Total. The volunteers who contributed countless hours of their time to assist the kids, take photographs, sign our guests in, remind visitors to breathe and slow down, and most importantly, to have fun! 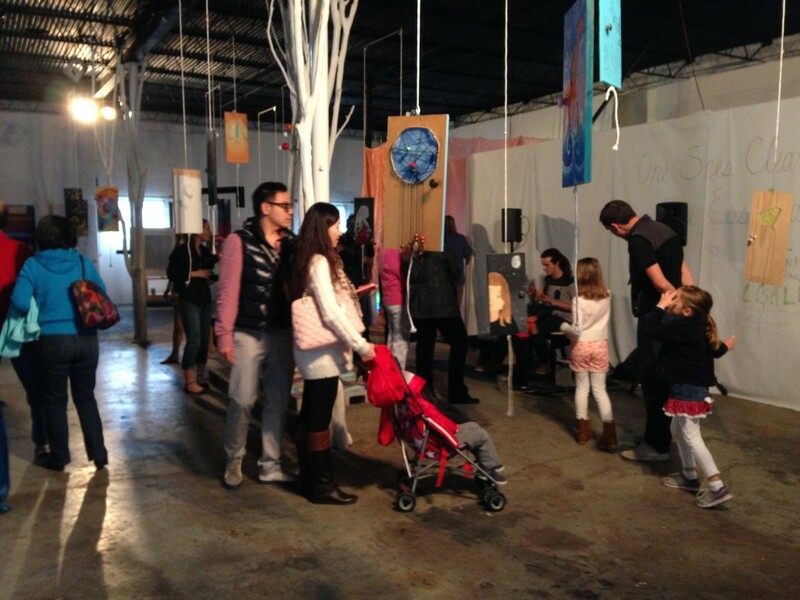 And the many, many kids, parents and individuals who came and responded so beautifully to our Open the Door and Once Upon A Door concept. collaboration with the Texas Children’s Hospital (TCH), schools in Houston and veterans in Texas. 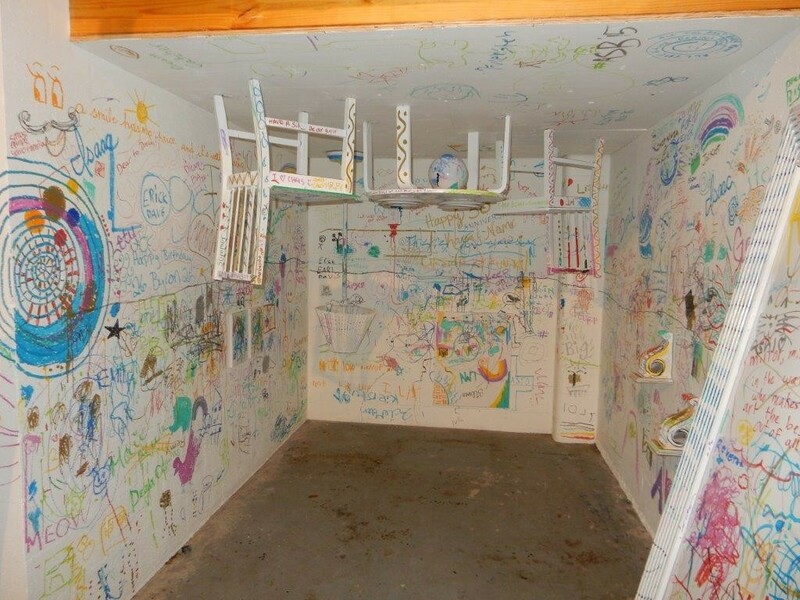 The project with TCH will culminate in a highly visible mural jointly produced by a team of educators, therapists, artists and patients at TCH. Interested in supporting us to make a difference community-wise? Contact us at info@texanfrenchalliance.org or donate at https://texanfrenchalliance.org/donate/ where your generosity will allow us to continue to improve the quality of life in communities of Texas and France. We got here by imagining it first and encouraging a spirit of fearlessness and curiosity, but we ended up with so much more than we could have ever imagined: A network of like-minded, fearless adventurers who are helping us grow our “Open the Door” movement, one door at a time. We all need to hit that “Pause” button and remember what is possible. We need to stop hurrying so much. We need to be here. Now. and make a positive change in our countries!